In 2004, the Junior League adopted a 10-year literacy focus and in 2006 was instrumental in establishing the Literacy Coalition for Oklahoma City. At the end of 2008, all new JLOC community projects contained a literacy component and volunteers strived to meet the overall goal of improving literacy in the community. 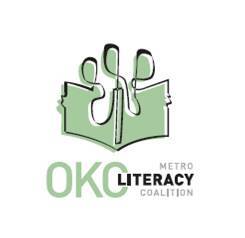 VISION: Metropolitan Oklahoma City is a fully literate community. MISSION: To lead an active collaboration of literacy learners, providers, and supporters, in order to strengthen services and to present a united voice for literacy in Metropolitan Oklahoma City. RESPECT – To value the inherent potential and dignity of individuals by encouraging growth and opportunity. INNOVATION – To actively seek and promote creative and resourceful means of delivering literacy services. COLLABORATION – To build community partnerships that best serve the needs of learners, providers, and supporters. EQUALITY – To foster inclusive learning environments where differences are valued and treated with respect. LEADERSHIP – To mobilize and empower partners to be visible champions for literacy. DEDICATION – To commit fully to the vision, mission, goals, and program of the Coalition. To advocate for literacy and to sustain the viability of the coalition by developing and directing resources for greatest impact. To identify and address the gaps and needs in services always keeping literacy as the coalition priority.